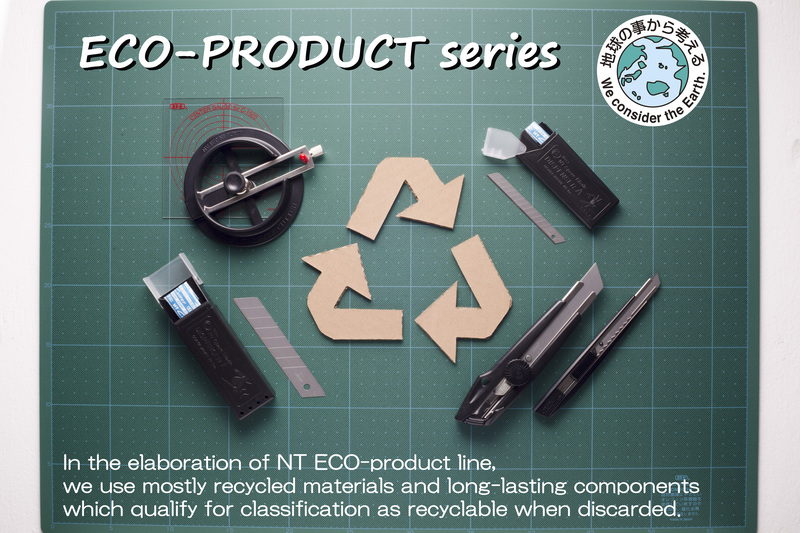 Point 1 … Plastic case for spare blade and design knife can be disassembled and sorted by materials when disposed. Point２… Recycled materials are used to produce the main parts of products. Point３… Double-sided cutting mat. Convenient grid lines on both sides.